Festive season is knocking the door and everyone is ready to bathe in the rains of celebrations. The fragrance of all kinds of eating delicacies surpassing the windows strikes our breath as we pass through the streets near the houses. The historical and mythological reasons to celebrate Diwali have been told and said many times. But it would be incomplete to not mention that it is the day of honouring the return of Lord Ram after 14 years of exile. Lord Ganesha and Goddess Lakshmi are worshipped to bring happiness and prosperity in life. The warning of lighting crackers with safety is not new. The effects of pollution caused by their sounds are also repeated each year. Suddenly, everyone seems quite concerned about noise pollution as if all these fireworks at this time are the sole cause of it. Even more funny is the bleak ignorant outlook of people towards all the kinds of pollution through out the year and now this noise about all the noise. The whole media will suddenly come into active mode with tags of ‘Say No to Crackers’ or ‘Go Green’ etc. I fail to understand till date why all the social and environmental issues produce buzz only on certain occasions or when some incident or accident takes place. 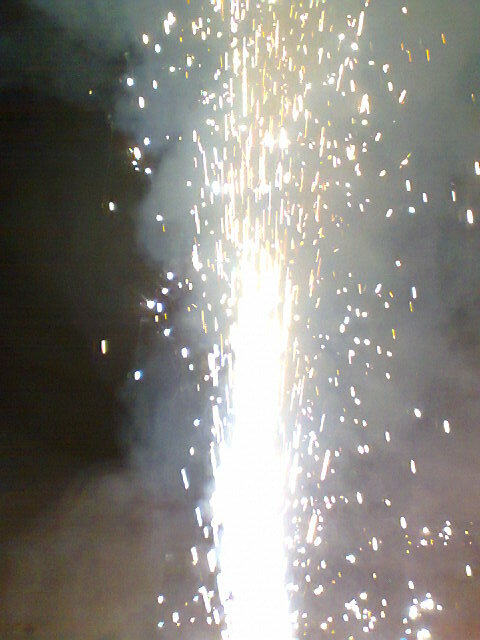 I definitely don’t favour to put fire to lakhs of rupees in the name of fun and merry making. But to target any particular festival only is just not happening. One needs to curb in weddings, processions, religious fairs or use of loud speakers as a whole etc: Not to forget the roaring engines of smoke producing vehicles. You will also accuse me of being too saint if I ask you to donate all that money and help the poor instead. Help is done by self instigation. It cann’t be enforced. Moreover charity is not occasional actually. It is to be done necessarily on birthdays or festivities. Much more can be achieved by doing our bit in everyday life and not just by observing all the restrictions this diwali. I would just like all of us to celebrate it with full fervour and zeal. Do not overdo it but also donot under do it.